PERI is a family-run business in the second generation. For nearly 50 years PERI has been active on the market and has always been a pioneer in formwork and scaffolding technology. What has made us so successful is that in everything we do, we always think first and foremost of the benefits for our customers. A cooperation based on partnership and trust is a fundamental value in our company, which therefore also forms the basis of our customer relationships. 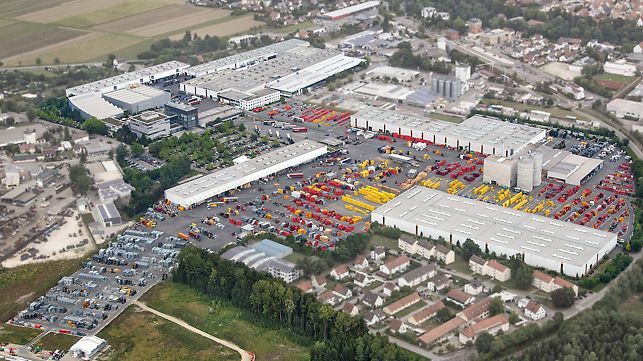 Central functions, development and production facilities are located in Weissenhorn near Ulm in Southern Germany since the founding of the company in 1969. In 2016, PERI acquired a new site, including production halls and an office building, in the Bavarian town of Günzburg around 20 km away. Through this, the production capacities are once again clearly increased. Our international management stands for in-depth expertise. 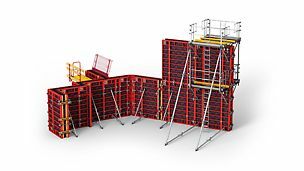 With the knowledge and understanding of local requirements, the right formwork and scaffolding systems are developed to meet all needs worldwide. We actively practise and pursue the close proximity to our customers. Today, we are represented by over 64 subsidiaries on all continents; many countries also have several branches and additional sales offices. 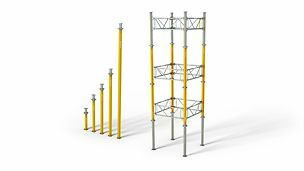 In more than 120 efficiently run rental parks worldwide, we provide the required formwork and scaffolding materials in order to be able to supply your projects and to cover peak demands. And we still continue to expand. Valuable insights result from the many years of international activity along with the different regional requirements regarding construction methods and procedures, material and equipment use as well as labour costs. We bundle this detailed know-how in order to develop appropriate products and services. Thus, global knowledge and a worldwide competitive edge is created from local knowledge and understanding. And all our customers around the world benefit from this. This forms the basis of our performance leadership. Continuous and steady growth based on our own strength is our maxim for the further development of our company. This is why we are constantly working on expanding our range of services as well as production capacities. Through the expansion of existing sites and establishment of additional country subsidiaries and locations, we are strengthening our local presence worldwide. Our goal is to be even closer to our customers around the globe in the future and to be able to serve them even better and faster. Our employees around the world, their performance and competence are our company´s true capital. Their high motivation and special PERI team spirit, strong customer-oriented approach and their daily focus on actual customer requirements are the elements that has made us so successful since PERI was founded. Our success factors are tremendous innovative strength and internationalization at an early stage. Behind this are around 7,700 employees who are committed in providing the best individual solution for the benefit of our customers. The basic requirements of our developments is to ensure faster and safer working operations. 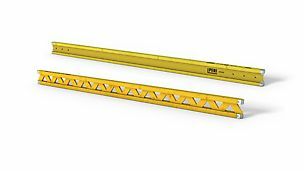 PERI products are therefore designed so that they provide users and construction companies with advantages regarding the handling along with workload reductions, enhanced safety as well as cost and personnel savings. We thereby attach great importance to minimizing the number of individual components for system assemblies because this has a positive day-to-day effect: as a result, every use is faster and easier, logistics requirements are reduced, search times on the construction site are a thing of the past – to name just a few effects. Innovative construction, intelligently configured mechanical systems, high quality and durability are likewise given requirements for PERI engineers. Wherever possible, we develop our systems for the widest possible range of applications. As a result, this allows maximum material utilization and avoids unused stocks of materials. Where necessary, we complement system components for very special applications so that expensive, project-specific constructions can be dispensed with. Thus, PERI solutions increase the economic efficiency, very often for all the construction processes. Proof that we are on the right track with this approach is the fact that PERI has always set standards in the market with its innovations and that PERI systems have established themselves worldwide. We develop new products for applications with which we see rationalization potential with a real future. In this way, efficient system equipment with practical details is developed which maintain a strong position in the market over many years. The thinking in processes for optimizing construction progress is a matter of course for our engineers. In addition to the technical requirements, they always take into account safety considerations and economic efficiency of the execution. PERI engineers plan and design formwork and scaffolding solutions while taking into account the technical requirements, boundary conditions during the application as well as respective individual customer requirements. This results in optimized solutions for each project Task – very often during the tendering phase. Furthermore, PERI also provides the required technical documentation – from implementation drawings through to verifiable static calculations. Goal of the PERI engineers is always ensuring process optimization with the objective of reducing both execution times and costs. 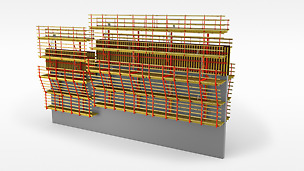 In this connection, we are also intensively involved with the technology of Building Information Modeling (BIM). In the process, the systems are used for building information management during the planning and implementation phases which facilitates crosscompany communication as well as over different locations. 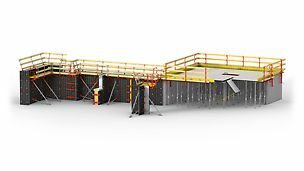 The goal of all PERI developments is the complete integration of formwork and scaffolding solutions in future BIM simulations. In the future, our engineers want to fully exploit the potential of 5-dimensional planning in the execution of construction work together with our customers. The high level of expertise found in the international PERI application technology has been achieved through intense cooperation, close networking and continuous training of our engineers worldwide. In this way, we also ensure that the know-how in our company along with all the acquired international experience really does benefit each of our customers for every project regardless of its size. The PERI range of services in the area of project support extends from the elaboration of feasibility studies for particularly challenging projects and material rentals for covering peak demands through to cleaning and repair services for the customer's own materials. Our close-knit network of logistics sites ensures fast availability of materials for every project. We also make our system equipment available in our rental parks and thereby provide our customers with a cost-effective option for managing peak demands or special project tasks. If required, our supervisors can ensure that the PERI solutions are efficiently used on the construction site. Furthermore, we support the controlling processes on the customer side with high transparency and performance-related invoicing. 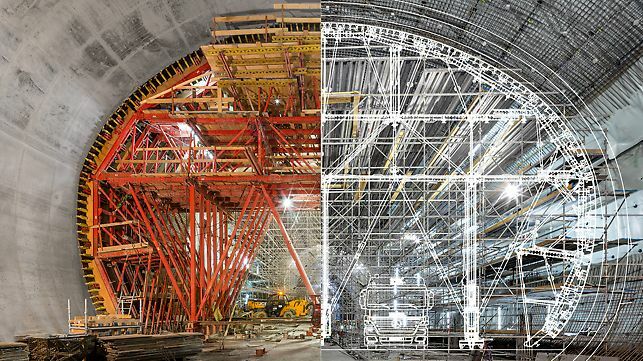 For large-scale projects, PERI project managers help to adjust material quantities to suit actual requirements thereby achieving an ideal economically viable on-site material requirements/costs ratio. The most important contact person for our customers is always the respective personal sales engineer. He bundles all requirements and works together with those responsible for the project implementation to draw up a corresponding project service package complete with a customized range of site-related services. Our services are based on a practical approach designed to match the project phases of our customers. They bring real benefits to both large and small construction sites. PERI services are oriented towards the project phases on the customer side. 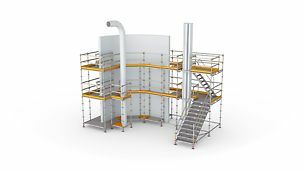 In each step, we offer all services required for the formwork and scaffolding activities which provide our customers with economic benefits and thus real competitive advantages. 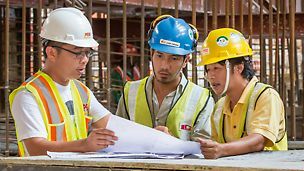 This applies to both large and small construction projects – solution-oriented, prompt and direct – and always in partnership with the PERI sales engineer. We are pleased to pass on our knowledge and years of experience to our customers at any time. In our exhibition centres around the world, we regularly present not only PERI innovations but also providing details and insights on the latest system equipment. For this, we organize seminars, workshops and product training where we provide detailed product knowledge as well as train participants for the day-to-day use and reveal practical tips and tricks. In the process, users learn how to safely and efficiently use PERI solutions on the construction site even when under time pressure. In addition, we offer training opportunities that are specially designed for dealing with the tasks of those specialists involved in planning operations and site management. 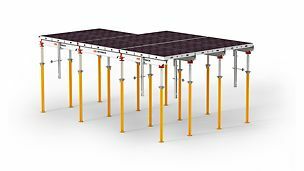 This includes, for example, PERI CAD training for professional formwork planning as well as seminars that provide information on legal requirements and standards. Parallel to this are the PERI Entrepreneur Days which address current industry issues and provide a platform for the exchange of ideas. 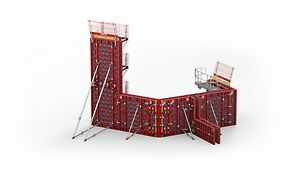 We view this as a contribution to an active exchange of knowledge and experience among all those who work daily with our formwork and scaffolding technology. For us, this also counts as providing the best possible service to the customers. Not only do we know our products down to the last detail but also standards and regulations. In our training centres around the world, we pass on this know-how to the users.